A couple of weeks ago, my friend Jill told me she was going to run the Seoul Marathon next March. My masochistic tendencies took over, and before I knew it I was volunteering to train for the marathon with her. And so, for the last two weeks I've been telling everyone I see that Jill and I are running the marathon--I talk about it with the nonchalance of someone announcing that they're going to Safeway to pick up some Ben & Jerry's. And then I realized today: this ain't no Cherry Garcia. This is 26.2 miles of what have I gotten myself into. I am really doing this, and the only way that I can cement my commitment is by announcing it to the world (aka the 5 of you who read this blog). So, there. It's announced. 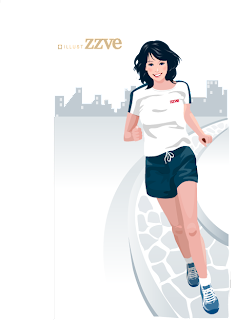 I'm taking the ENTIRE year to train for the 2008 Seoul Marathon. Someone, pass the ice cream.